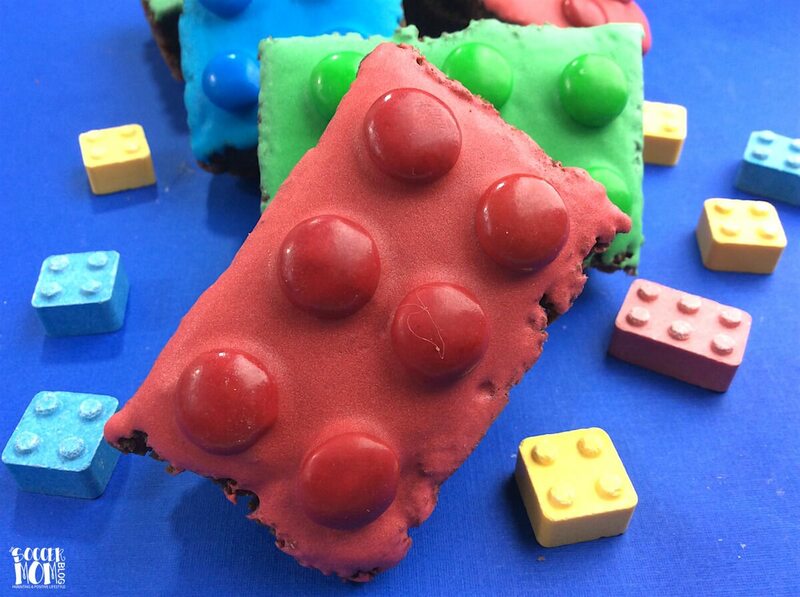 These cute and colorful LEGO Brownies make one of the best baked desserts THAT much cooler! Perfect for kids birthday parties, bake sales, or to celebrate the new LEGO movies, these LEGO brownies are easy to make and guaranteed to put a smile on anyone’s face. Do you have a little LEGO lover in your house? I run a home daycare and while I don’t have LEGO out during the day (due to all of the toddlers and their tendency to put everything in their mouths), I do have one child who has outgrown nap time and his favorite thing to do when everyone else is napping is to spend that hour and a half meticulously building unique structures with our LEGO collection. He comes up with some of the most creative ideas and he is so completely engrossed in his LEGO building that I barely need to keep an eye on him – he doesn’t move from his spot until naptime is over and we have to clean up! 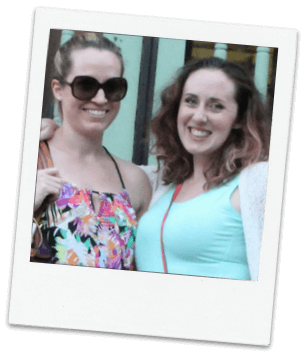 His birthday is coming up and I love making the kids a special dessert to share with their friends on their birthday, without overshadowing whatever special birthday desserts their parents may have planned for at home. 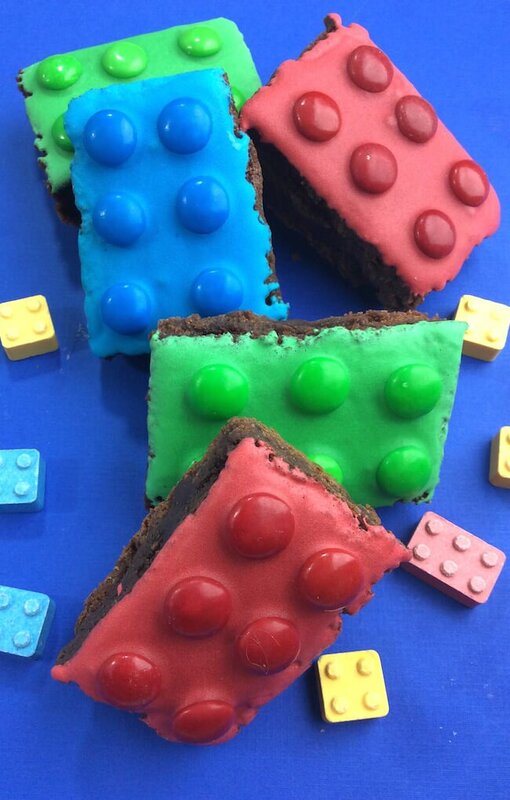 These LEGO brownies are the perfect solution! 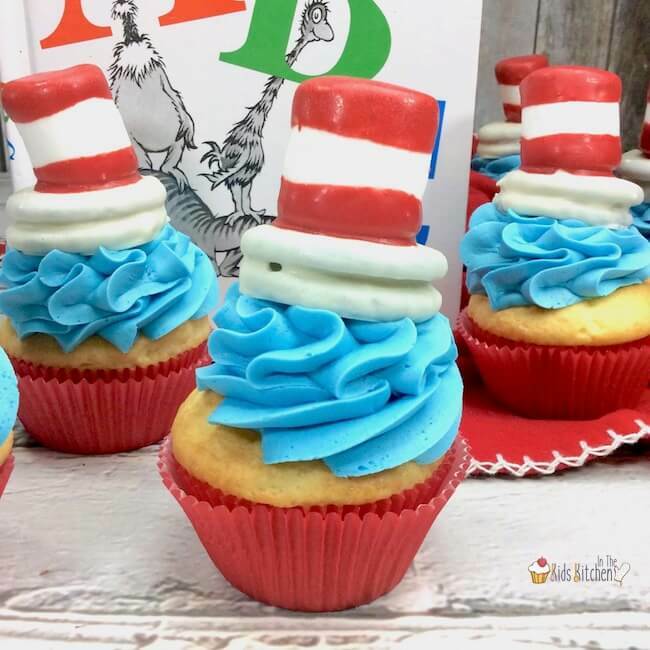 Super fun and such a treat, I just know he is going to love them – and chances are, mom is not planning on making this for his birthday dessert at home. 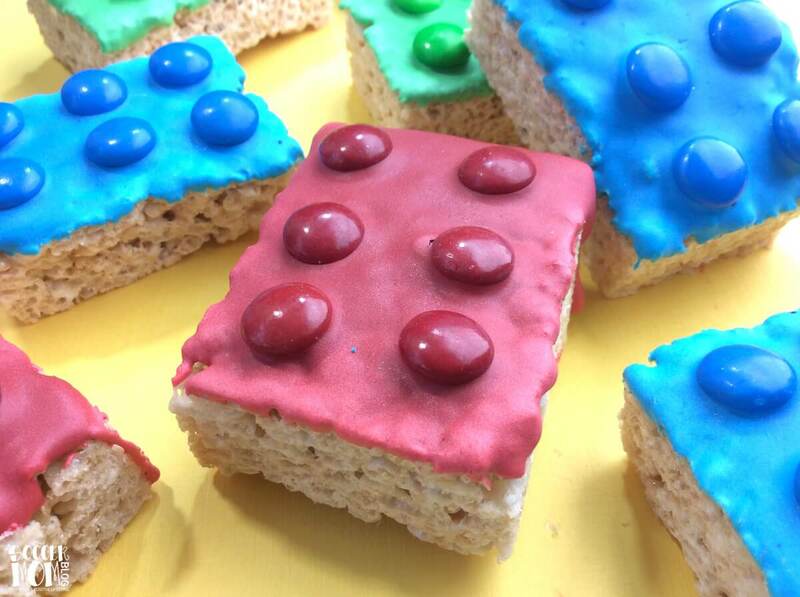 I hope your little LEGO lover gets a kick out of these brownie building bricks – if you make them, be sure to tag us on social media so we can see your creations! Tip: you can switch out these colors for whatever colors of M&Ms you have on hand, or feel free to use all the same color if your child is very vocal about their favorite color! Preheat oven to 350°F. Line the bottom and sides of a 9×9″ baking dish with parchment paper. Lightly coat with non-stick baking spray. Mix brownies according to the directions on the back of the box and pour into prepared baking pan. Bake for 30-35 minutes (or time specified on back of box). When brownies finish baking, set aside to cool. In a standing mixer, combine all ingredients except the gel food coloring and M&M’s. Mix on medium speed until combined or until your icing is bright white. (Add up to 1/2 cup more powdered sugar if icing is not bright white). Divide icing evenly into 3 bowls; add 2 drops of food coloring to each bowl (1 color per bowl) and stir. Continue adding coloring drop by drop until you’ve reached your desired icing shade. 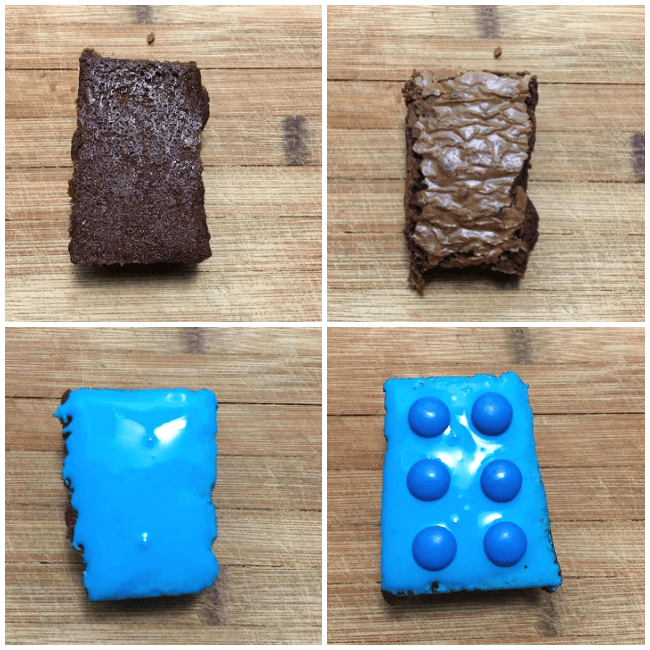 When brownies are completely cool, cut into rectangles. Dip the bottom of each brownie into a bowl of icing until fully coated. Set out to dry on a baking sheet (icing side up) or a non-stick silicon baking mat. Once all brownies have been dipped in icing, press 6 M&Ms of the color that matches the icing into each brownie. Allow to set for about an hour until M&Ms are firmly in place. These cute LEGO brownies are a great addition to a LEGO night, or a LEGO birthday party for kids and are way easier to make than they look! My Son and I can’t wait to try making these! Thank you for the great Idea!